Please login to your current account in order to renew. * New Membership Free!! NO Annual Dues….. We listened to your needs. Your PayPal confirmation is your receipt for income tax purposes. Please print this page for your records. Paying by cheque? Please email treasurer@lpnabc.ca for membership registration form with instructions to mail cheque. All those who pay by cheque will have their memberships activated upon receipt of payment and will be issued a receipt by email for proof of payment and income tax purposes. 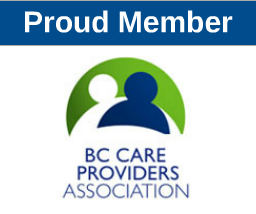 Your voice is heard; we advocate on behalf of our members to the Government, College and other key stakeholders on all matters pertaining to Licensed Practical Nurses in BC. Members get access to educational opportunities and the LPNABC education fund. Members receive regular e-newsletters with important news and events. Your membership gives you access to great resources in the Members Only portal on the LPNABC website. Your membership gives you voting rights at General Meetings of the Association. Members get access to exclusive surveys and contests to win prizes. Your donation to LPNABC is tax deductible and receipt will be issued for any amounts over $10. Being a member of LPNABC gives you networking and mentoring opportunities with other LPNs from across the province and nationally. LPNABC will lobby the Provincial Government to provide input on all policies, regulations and other matters that affect LPN professional practice on behalf of our members. LPNABC will advocate for our professional status by working and meeting with employers to allocate LPN’s to utilize their full scope of work. LPNABC has established an Education Fund by committing a portion of your membership fees to this fund. The distribution to members will be done by an application process and annual announcements at the LPNABC AGM. Wondering what the LPNABC is all about? Visit the About Us section to learn about what we’re working on, who the board members are, and how the LPNABC is different from your regulatory college and different from your union. Read our recent newsletters to learn about what we’re working on for our members. Contact us with your questions or comments. We’d love to hear from you!